Warts are common benign afflictions, however, as the term benign suggests, warts don’t indicate a serious health problem. They can be painful, and are a nuisance and this is why persons with warts are concerned about having them removed. Warts are caused by the human papilloma virus (HPV), which renders warts a viral infection and makes it contagious. 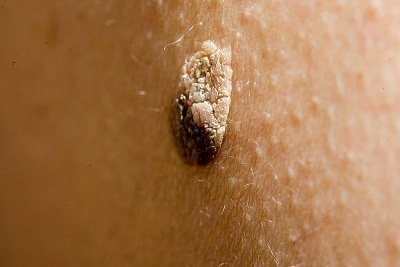 Warts can be removed by professional MDs through a process of either freezing, burning or laser treatment. 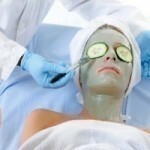 However, they can also be treated at home with natural and herbal remedies. Aloe Vera Gel: apply the natural gel from the plant to the wart, cover with a cotton ball and secure with band aid. Repeat this treatment twice daily until the wart is removed. Basil leaves: use a band aid to secure fresh, finely crushed basil leaves over the wart. Dandelions: obtain dandelion milk from the stem of a dandelion. Apply the milk to the wart and cover it directly with band aid. Repeat this procedure twice daily until the wart is removed. Milkweed: rub the milk from a milkweed plant several times daily to a wart, until it has been removed. Marigolds: apply plant juice from marigold leaves directly to wart. Repeat daily till wart is no longer there. Potatoes: half a potato; rub the juice from the exposed part over the wart. Lemons: use a lemon slice to rub the wart for approximately 5 minutes, twice daily. Lemon juice can also be dabbed directly onto the wart. Limes: use a piece of freshly cut lime to rub over the wart for 5 minutes, twice daily. The lime juice can also be dabbed directly onto the wart. Bananas: cut a piece of ripe banana skin, just a bit bigger than the wart. Place the peel, white side down onto the wart and cover it with a band aid to hold it in place. Alternatively, tape can be used if no band aid is available. Use clean tape. Repeat daily with fresh banana skin until the wart is gone. Onion: for two times daily, rub a freshly cut piece of onion over the wart. As another option, you may sprinkle the onion slice with salt first, then apply to the wart. Alternatively, you may drizzle lemon juice over the wart then cover with a freshly cut piece of onion. Garlic: for one variation of the garlic treatment, you may cover the wart completely with garlic, and secure it in place with band aid. Repeat this process nightly before bed. Alternatively, you may add garlic juice to the wart twice daily and then, apply a garlic slice to the wart and secure in place with a band aid, at nights. Pineapple: add pineapple slices to the wart, mornings, afternoons and nights until the wart is gone. Figs: mash figs and mix it with olive oil. Apply the mixture to the wart and cover with band aid. Repeat daily till wart is gone.